The US Environmental Protection Agency (EPA) is updating fuel economy test procedures to make them more accurate than they’ve been criticized for being in the past couple of years. The revision focuses on testing rolling resistance and aerodynamic drag of vehicles as they roll from 70 mph to a stop on a straight, flat track. These calculations are used to program dynamometers that determine fuel economy ratings in EPA test cycles. The new standards will need to more accurately address the effects of road load levels over a broad range of speed. The EPA will be meeting with automakers in the next few months to discuss their testing procedures, said Chris Grundler, director of the EPA’s Office of Transportation Air Quality. 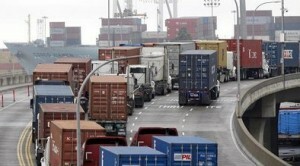 West coast ports may see their work stoppage go away and shipping go back to normal. The International Longshore and Warehouse Union and Pacific Maritime Association have reached tentative agreement on a new labor contract that had been backing up cargo carriers in long lines in recent weeks. Japanese automakers had been feeling the squeeze, especially Honda which said that the backup cost the automaker about 25,000 vehicles in lost production. US Labor Secretary Thomas Perez last week brokered a deal in San Francisco between the union and a group of shipping companies. Fisker Automotive is considering three options for its company name: eLux Technology, Elux Automotive, or keeping its current name. According to an inside source, including “Lux” in the name could commemorate the company’s chairman, Lu Guanqui; the Chinese billionaire and founder of Wanxiang Group Corp. acquired Fisker about a year ago in bankruptcy court for $149.2 million in cash. For those interested in working with the US military on advanced vehicle technology projects…… the US Marine Corp. issued a Request for Information (RFI) for its next Expeditionary Energy Concepts technology demonstration that will be held June 23-25, 2015, at Camp Lejeune, NC. Three vehicle technology areas will be included in this year’s demonstration: hybrid/electric all-terrain vehicles; advanced batteries and energy storage; and fuel cells up to 10 kW. The deadline to respond to the RFI is Friday, March 6. Tesla Motors has a diverse group of backers in its fight against franchised dealers. Ten public-interest groups have signed a letter to US governors and legislators supporting Tesla’s right to directly sell its electric vehicles at retail stores across the country. Among the 10 groups were the environmentalist Sierra Club and Americans for Prosperity – a political action group founded by the Koch brothers. In other news, Tesla may be granted permission to open up to 12 stores in Texas. 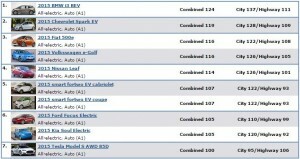 Six state legislators have filed bills that would give permission to Tesla to directly sell to customers. Navigant Research expects electric vehicle supply equipment (EVSE) to see big gains in coming years. Global revenue for EVSE charging services should grow from $81.1 million in 2014 to $2.9 billion in 2023. That would include residential and commercial electric vehicle charging for Level 1, Level 2, DC fast charging, and wireless EVSE. Volvo will be launching an autonomous vehicle pilot program by 2017. The Drive Me project will use Volvo vehicles equipped with a variety of sensors designed to detect weather and traffic, pedestrians, and other safety and mobility factors. Some of that data will come from a combined radar and camera system mounted at the top of the windshield. Ryder System has set up an online natural gas vehicle maintenance program for all of its North American maintenance network with more than 6,000 employees at Ryder’s 800 facilities. Technicians will learn about the entire spectrum of all natural gas vehicle platforms and configurations. Ryder trucks have put in more than 30 million miles driven as natural gas vehicles for the commercial transportation industry; the company has 14 natural gas vehicle maintenance facilities and 260 natural gas vehicle trained technicians. 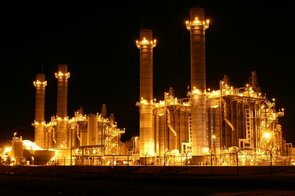 California Air Resources Board received a letter signed by about 100 businesses, organizations and individuals, highlighting key benefits of the state’s six-year-old Low Carbon Fuel Standard. Key benefits mentioned in the letter included diversifying the state’s fuel supply and increasing independence from fluctuating oil prices and gas pump prices; spurring greater use of clean alternative fuels and vehicles; and cutting air pollution and improving public health. 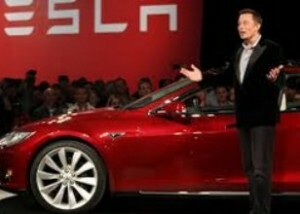 Tesla Motors Q4 financial reporting showed sales growth and profit loss. Tesla Motors’ financial performance during 2014 hit both ends of the spectrum. Revenue soared 59% to $3.2 billion for the year while Tesla’s net loss increased to $294 versus a loss of $74 million in 2013. 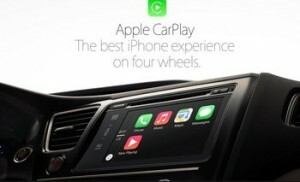 Fourth quarter revenue hit $957 million, up from $615 million from the fourth quarter of 2013. Using Tesla’s preferred non-GAAP accounting method, revenue rose 44% to $1.1 billion. Net losses widened to $108 million in the fourth quarter from $16 million. The company did meet its goal of producing 35,000 vehicles for the year, but did not meet its Model S P85D delivery target. Severe winter weather and shipping problems reduced its number – 1,400 vehicles shipped in December didn’t arrive until the next quarter. There had already been growing concerns about Tesla’s delivery problems based on the brand’s slower-than-expected launch in China, with the company last month confirming demand there was “unexpectedly weak.” Tesla said it ran into concern from potential buyers in China about the lack of charging infrastructure in the country. Tesla CEO Elon Musk has expressed frustration that problems in China have raised with investors, saying that the issue “is being blown way out of proportion.” The company has approached the final stages of development for its Model X crossover. Tesla expects to ship 55,000 Model S and X units in 2015, yielding more than a 70% year-over-year increase in deliveries. Forty percent of the deliveries are expected to take place in the first half of the year. Tesla entered 2015 with over 10,000 Model S orders and nearly 20,000 Model X reservations. This Month in Green Auto Market – Extended Edition: Former biofuels industry leader and Propel Fuels CEO Matt Horton takes on a new role with an electric vehicle manufacturer………. What the new Ford Interceptor Utility means for police departments – and what law enforcement thinks about alternative fuel vehicles………. Monthly figures for hybrid and plug-in sales, alternative fueling stations, and fuel prices……… All this and more for those interested in subscribing to the monthly edition of this newsletter. The Federal Transit Administration (FTA) has awarded 10 projects teams to deploy 55 low and zero emission fuel cell, battery electric, and electric hybrid buses across the US; 38 of them will be electric or fuel-cell powered. CALSTART will be working with three transit agencies to purchase and deploy 15 of these vehicles: Stark Area Regional Transit Authority (SARTA) will receive $8,877,405 for five hydrogen fuel cell buses from the Integrated Product Team of Ballard Power Systems, BAE Systems, and ElDorado National; SunLine Transit Agency will receive $9,803,860 to build and deploy five hydrogen electric hybrid fuel cell buses. BAE Systems, Ballard Power Systems and ElDorado National will team up to build the new zero-emission buses; and San Joaquin Regional Transit District (RTD) will receive $4,702,011 and purchase five Proterra battery-electric buses and a charging station. You can read all about it at the FTA site. Canadian company Ballard Power Systems has entered into an $80 million “technology solutions” transaction with Volkswagen that involves transfer of automotive fuel cell intellectual property and a two-year extension of an engineering services contract. Audi will acquire a package of patents from the fuel-cell company that will be applied across all VW Group brands. Along with cars, Ballard produces cells for use in forklifts, buses, and stationary used in distributed power generation. Solar-powered electric car Stella has won the TechCrunch award for biggest technology achievements during the 8th annual “Crunchies Awards.” Stella was up against an impressive list of contenders — Apple Pay, The Block Chain (Bitcoin), Rosetta Mission’s Comet Landing, and SpaceX Lateral Booster. Stella, created by Solar Team Eindhoven from the Eindhoven (Netherlands) University of Technology, has been widely recognized and is gaining support. Partners include National Drive Electric Week, Plug In America, and the Coast to Coast EV Connection project. Stella’s car uses a roof-mounted solar panel that can provide enough power to move the car 500 miles on a full charge of the battery. 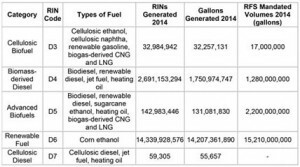 Agility Fuel Systems, a leading designer and producer of natural gas fuel storage and delivery systems for heavy duty trucks and buses, and Clean Energy Fuels announced a joint CNG fuel system sales program to reduce the incremental cost of heavy-duty natural gas trucks. Agility and Clean Energy will work with trucking customers and offer CNG fuel systems installed at a substantially reduced cost when there is a natural gas fueling agreement. Last year during ACT Expo 2014, Agility announced a joint venture with Hexagon Lincoln to manufacture both a new type of lightweight Type IV CNG fuel cylinder, and the assemblies needed to mount them on heavy duty vehicles. 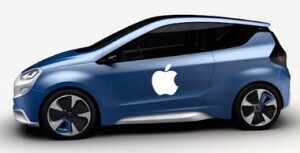 Volkswagen of America says it will invest $10 million to support electric vehicle infrastructure by 2016. During a presentation at the 2015 Electric Drive Congress in Washington, DC, Volkswagen’s Jörg Sommer, vice president, product marketing and strategy, made the announcement during a presentation about the automaker’s approach to e-mobility surrounding the launch of the electric 2015 e-Golf. The automaker would like to see federal financing support for setting up fast-charging networks in urban areas and interstate corridors. Technical support for those repairing hybrids and EVs. I-CAR®,the Inter-Industry Conference on Auto Collision Repair, launched the Hybrid and Electric Vehicle Disable Search on the I-CAR Repairability Technical Support (RTS) Portal to build a robust, centralized hub of valuable industry information to give collision repair professionals the answers they need as quickly as possible. Users can find information on how to identify where parts of the hybrid or electric system are located, how to disable the system before beginning a repair, welding best practices, and refinish precautions. UK testing autonomous vehicles. The United Kingdom government has launched a test program for autonomous vehicles in four cities across the country. No major automakers appear to be involved in the test program, and the projects include smaller vehicles such as a pod-like microcar and another test model that looks like an oversize golf cart. The project has the equivalent of about $30 million in government funding. Higher mileage Chevy Volt. Automotive News analyzed what’s behind General Motors increasing the battery-only range on a single charge of the 2016 Chevrolet Volt plug-in hybrid from 38 miles to 50 miles. Some of that improved fuel efficiency comes from reducing its weight 243 pounds from the prior model. Subscribers have access to a chart with popups explaining where those gains were made in the battery pack, engine, and electric transaxle. Plug-in sales: There’s been a wide range of estimates on Tesla Model S sales in the month of January, but they’re all ahead of what Nissan reported for the Leaf. Whether those Model S numbers might have been 1,100 units sold, 1,300, or 1,500, they’re all higher than 1,070 Nissan Leafs that were confirmed as being sold. The Leaf was down 14.5% from January 2014, ending a 23 month cycle of sales increases. The Chevrolet Volt was way down from a year ago – 41%. That likely had something to do with the refreshed model coming out later this year. com reported that plug-in hybrid sales were down 45.4% from December and down 28% from January 2014; battery electric vehicles were down 46.4% from December and were up 33.9% over January 2014. Boy, things have changed. A TV commercial for the BMW i3 shows NBC reporters Bryant Gumbel and Katie Couric in 1994 discussing this “newfangled” internet thing. Fast forward to 2015, Gumbel and Couric are now confused about riding in a car with no engine with its power somehow coming from a wind turbine. It was one of the TV ads shown during the Super Bowl game on Feb. 1. General Motors will begin building a production version of its Chevrolet Bolt battery-electric concept vehicle in October 2016, according to inside sources. That will put GM into direct competition with California EV start-up Tesla Motors, Nissan, and BMW. GM’s production target for the Bolt is about 25,000 to 30,000 cars a year. CALSTART hosted its annual Low-Carbon Fuel Summit in Sacramento on Feb. 3. More than 150 people attended, representing the state legislature, clean fuels producers, and consumers. Low gasoline prices held a lot of attention during discussions, along with the California Air Resources Board’s low-carbon fuel standard. Google may be going after Uber’s ridesharing market with its self-driving car technology. Uber executives have seen screenshots of what appears to be a Google ridesharing app that is currently being used by Google employees. Google’s venture capital division, Google Ventures, had invested $258 in Uber in August 2013. The Obama administration may turn the federal tax credit for electric vehicles into a rebate program as part of its proposed budget. That idea was first put out by the administration in 2011, but it’s taken a while to gain enough Congressional support. That $7,500 tax credit could be turned into a $10,000 rebate if enough support is gained. University of Michigan Transportation Research Institute reported that average fuel economy of light vehicles purchased in the U.S. improved last month for the first time since August, increasing 0.3 mpg and coming in at 25.4 mpg. January’s 0.5 jump from a year earlier marks the 12th consecutive month that average fuel economy has been above 25. Average fuel economy is up 5.3 mpg from October 2007, according to the report. Oklahoma-based organization Alternative Fuels Technology Center is now offering online courses for training on alternative fuel vehicles. The courses are self-paced and take between two to three weeks to complete. 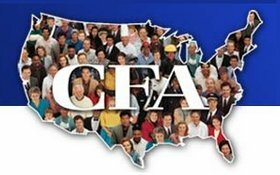 Available online courses include: CNG Vehicle Code; CNG Compressor Operator Safety and Code; LPG Vehicle Code; and Introduction to Hybrid Vehicles. Natural gas fuel-storage company Agility Fuel Systems and Clean Energy Fuels have announced a joint compressed natural gas (CNG) fuel system sales program to reduce the incremental cost of heavy-duty natural gas trucks. Under the program, Agility and Clean Energy will work with trucking customers and offer CNG fuel systems installed at a substantially reduced cost when there is a natural gas fueling agreement. The Mercedes-Benz C350e plug-in hybrid is launching in Germany this month with a price tag of $57,645, a fuel economy rating of 112 MPGe (though not by US EPA standards), and an optional wagon version. If you live anywhere near the Ports of Long Beach or Los Angeles – or any of the 29 west coast ports – you might notice that the cargo ships appear to be backed up farther down the coastline than usual. While the global economy is getting better, that extension of ships has more to do with bitter contract negotiations over the past nine months. It was backed up even more this past weekend after a shutdown by port operators. The International Longshore and Warehouse Union (ILWU) says that employers are not managing the supply chain efficiently; the Pacific Maritime Association, which represents shippers and terminal operators, says that union works have intentionally been slowing their work speed by about 50% to put pressure on management to settle the contract. Pacific Maritime Association put out a “best offer” proposal on Feb. 4 and is waiting for the union to respond. Union members have been offered a 3% wage increase, 11% higher pension benefits and no pressure to make concessions on the contract. For workers in the region, it’s usually the highest paying job out there. Longshore workers are now approaching $150,000 in annual wages and pensions that average $80,000 a year. There is a price for living that life – injuries can be severe for ILWU members, air quality can cause respiratory health problems, and the traffic congestion in and around the ports has been getting worse. Port of Long Beach Chief Executive Jon Slangerup said during his State of the Port address on January 29 that congestion is becoming a serious problem at the port. It goes back to about 18 months ago when ocean carrier lines formed alliances combining their cargo ships. These ocean carriers got out of the truck trailer chassis side of the business; three local leasing companies took on the work but didn’t have large enough fleets to cope with increasing demand from these massive vessel carriers. Storing containers and getting them to trucks and trains became more complicated and dragged out as well. The Port of Long Beach has been in discussions with the unions and the Port of Los Angeles on finding solutions to these gridlock problems. Capital investments are underway such as the Middle Harbor Redevelopment Project and the Gerald Desmond Bridge Replacement Project have been underway, and Slangerup expects them to generate about 5,000 construction jobs over the next few years. The ports have been considering other capital investments in recent years, including one that would efficiently stack cargo containers and load them onto railroad cars that would deliver them to trucks near downtown Los Angeles. That proposal has been based on air pollution and traffic congestion building up on the I-710 and I-110 freeways. There’s also been the I-710 Corridor Project that’s expected to start up in the next five years. That 12-mile project is still seeking buy-in from cities along that stretch of the freeway and government agencies overseeing the region. The concept is to launch the corridor project in 2020 and complete it in 2030; it’s expected to create 500,000 project jobs and to help reduce harmful emissions. The Port of Long Beach last night celebrated the 10 year anniversary of its Green Port Policy – which has been embraced and replicated by other ports around the world; the board voted to continue supporting the Green Port Policy through its next phase. The Port of Long Beach has invested more than $500 million to reduce the port’s environmental impact and meet ambitious goals improving air, water, soil and sediments, wildlife, sustainability, and community engagement. Slangerup emphasized the goal of making Long Beach the world’s first zero emission port. Much of that is coming through what the port calls “Energy Island,” a fully self-sustained energy grid powered by solar, wind, fuel cells, natural gas, and potentially with other technologies currently in development. Trucking has been a big part of the Green Port Policy for the second largest source of air pollution after cargo ships. The Ports of Long Beach and Los Angeles enacted their Clean Trucks programs that have brought the trucking fleets up to newer, cleaner diesel engines and reduced air pollution 80% compared to older truck models. Both ports are supporting test projects for port drayage trucks and other vehicles – such as battery electric trucks. There’s much hope out there for peaceful settlement of the union contracts, and relief from congestion in the ports and nearby areas. The next 20 years will see several ambitious projects enacted to deal with these challenges and the health risks from increasing air pollution. The opportunities are there for all port stakeholders willing to take them on. Last week, the American Council for an Energy-Efficient Economy (ACEEE) released its 18th annual comprehensive environmental ratings for vehicles. 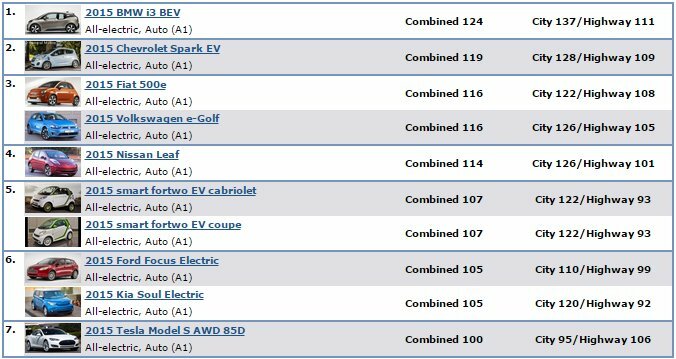 As you can view in this list of the 12 Greenest cars in 2015, battery electric vehicles did the best, taking the top three spots. The Smart ForTwo Electric Drive took No. 1 for the second year in a row, this year taking the highest Green Score ever. Plug-in electric vehicles took six out of 12 places on this year’s list. The Toyota Prius did well this year with its Prius C taking 4th place and the Prius liftback, and Prius Plug-in jointly took No. 6. The Nissan Leaf finished in fifth place. ACEEE assigns each vehicle a Green Score that incorporates lifecycle greenhouse gas and criteria pollutant emissions. The announcement of this year’s winner coincides with the release of ACEEE’s brand new greenercars.org website that will now offer subscription-free access to all vehicle scores from model year 2000 and later. Another new feature this year is analysis of where the electricity powering the electric vehicle comes from. “A car that is charged using electricity generated from natural gas or renewables is going to have significantly less impact on the environment than one charged on a coal-heavy grid,” said ACEEE lead vehicle analyst Shruti Vaidyanathan. ACEEE also looks at the other end of the spectrum – acknowledging vehicles that are the least friendly to the environment. Number one on this year’s list is the Dodge Ram 2500 (Class 2b), followed by the Chevrolet/GMC G2500 Express/Savana cargo conversion vans. Looking at the selection of “greenest of the green car” awards released around this time of the year begs the questions: What is a green car? What makes it the best? Overall, the BMW i3, Nissan Leaf, and Volkswagen models performed very well in the rankings. Fuel economy is one that always comes up in consumer polls, fleet acquisitions, and government rating systems. Take a look here at Fueleconomy.gov’s Top Ten EPA-Rated Fuel Sippers (2015); these are based on fuel economy measured in miles per gallon equivalent (MPGe) for electric vehicles where 33.7 kilowatt hours is equal to one gallon of gasoline. The combined rating is weighted at 55% city and 45% highway driving. The 2015 BMW i3 is having a very good year – taking the top spot in the Fueleconomy.gov rating, Kelley Blue Book’s (KBB) Green Car of the Year for 2014, and winning the 2015 Green Car of the Year award at the LA Auto Show. Volkswagen has seen positive results as well, with the Golf product lineup taking Green Car Reports’ Best Car to Buy for 2015. The compact five-door Golf, now in its seventh generation, is both lighter and more spacious inside. The Volkswagen e-Golf, the German automaker’s first-ever all-electric car and zero-emission vehicle, also helped bump it up on the list. The Volkswagen Jetta Diesel and Passat Diesel were among the top 10 best-selling green vehicles in the US last year. 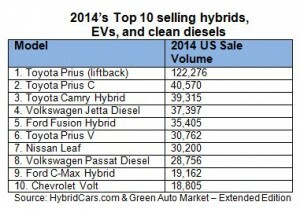 The Nissan Leaf didn’t take any of the top spots this year, but finished well in the top 10 on several lists. It was the top-selling electric car in the US during 2014, whether or not the Tesla Model S started stealing the thunder. As you can see on this top 10 list of 2014’s best-selling hybrids, electric vehicles, and clean diesel cars, the Leaf isn’t selling anywhere near the volume of the Toyota Prius liftback (the non-plug-in hybrid version of the Prius), but it is far ahead of the second highest-selling plug-in model from last year, the Chevrolet Volt. The Keystone XL pipeline could see a clear decision made this month in Washington. The US Senate last week passed a bill approving the Keystone pipeline, 62 to 36. House Republican leadership would like to vote next week on the Senate’s bill which would allow for a pipeline between Alberta and Houston that would transport refined tar sands oil back to refineries in Canada. It’s been nearly six years that the Canadian government and its oil industry have been pushing to get this through. President Obama may veto the bill while waiting for feedback from the State Department and other federal agencies on the pipeline; the State Department had asked agencies to turn in their feedback comments by the end of yesterday. The final decision from the State Department may be released this month, along with a decision by the White House on whether to support or reject the $8 billion pipeline project. Hyundai will be reducing the price of its Tucson fuel cell vehicle in the home market of South Korea by 43% — bringing it down to the equivalent of $77,189. The challenges are there – besides the high price, there’s only one hydrogen station in South Korea with a second one scheduled to open within the first six months of 2015. The government has set a goal to increase that that number to 200 by 2025. In the US, the Tucson fuel cell model is currently available on a 36-month lease for $499 a month with $2,999 as the down payment. More details on pricing and delivery in global markets is expected to be revealed at the Geneva Motor Show next month. Green Fleet Conference & Expo, which has been in operation since 2008, will change its name to Fleet Technology Expo on Aug. 24-26 of this year in Long Beach, Calif. It’s sponsored by Bobit Business Media’s Automotive Fleet, Green Fleet, and Heavy Duty Trucking The perspective will be wider on fleet operations than the Green Fleet Conference had been focused on. There will be a special track designated for converting to and maintaining an alternative-fuel fleet. Two additional tracks, Fleet Analytics and Heavy Duty, will expand the available education and expo floor offerings. The Propane Education & Research Council (PERC) debuted its first-ever logo and brand identify for propane autogas with the phrase, PROPANE AUTOGAS Clean American Energy™. Leaders in the propane industry commissioned PERC to develop a single symbol and identity to solidify propane autogas as the official name of the popular alternative fuel. 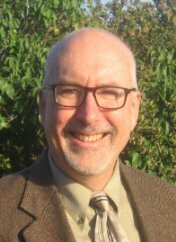 PERC President and CEO Roy Willis also thinks it will support building a brand that advances propane as an increasingly abundant, American-made energy source. Ford Motor Co. has released its 2015 Alternative Fuel Buyers Guide featuring compressed natural gas, propane autogas, biodiesel, ethanol, hybrid, plug-in hybrid, and all-electric vehicles. Beyond the available vehicles and their configurations, you can see a list of qualified vehicle modifiers, fleet testimonials, available infrastructure, and incentives. Vincentric worked with Business Fleet magazine on a cost analysis model for fleets deploying electric vehicles. The Smart fortwo Electric had the lowest cost per month at $455 at the three year, 12,250 mile (delivery service – local) and $535 for three year, 16,680 mile (sales driver) intervals. The Chevrolet Spark EV had the lowest cost at $651 per month in the three year, 22,175 mile (delivery service – longer distance) segment. The cost models look at total depreciation, total fuel cost (electric and gasoline), total cost to own, cents per mile, and cost per month. Two car enthusiasts separately caught on camera what appears to be a camouflaged Tesla Model X driving down a test track at the Alameda Airport, near the Oakland Airport, in California. What they thought was the Tesla Model 3 that will be released in 2017 was likely the Model X crossover model that will be coming out later this year. See the video here. One thing is certain – the all-wheel drive dual-motor Model S is now in production, according to Tesla Motors. “Unlike conventional all-wheel drive vehicles that sacrifice fuel efficiency for increased traction, the All-Wheel Drive, Dual Motor Model S provides superior control while actually improving both range and acceleration, even in tough winter conditions,” the company said. “Electric Vehicles and the Grid: Business Opportunities for Vehicle-to-Grid Integration Technologies” is a webinar taking place on Tuesday, Feb. 10 at 2:00 EST. Navigant Research analyst Scott Shepard, Scott Fisher, director for alternative energy at NRG Energy, and Greenlots CEO Brett Hauser, will discuss the market forces and challenges driving the vehicle-grid integration (VGI) sector. Topics for discussion will include the range of V2G business opportunities, stakeholder incentives for technology development and adoption, and regulatory requirements to enable VGI. A police department in Illinois is saving about $0.61 per gallon equivalent with propane autogas instead of gasoline. Most of these 10 patrol cars being tested on propane drive about 250,000 a year, meaning a significant savings; and the department will be applying for a state rebate program, says Police Chief David Brey of Lake in the Hills, a village in Illinois. The department is working with ICOM North America to convert 10 Chevy Tahoes that range from the 2012 to 2014 model years with ICOM’s bi-fuel system that runs on propane autogas and gasoline.